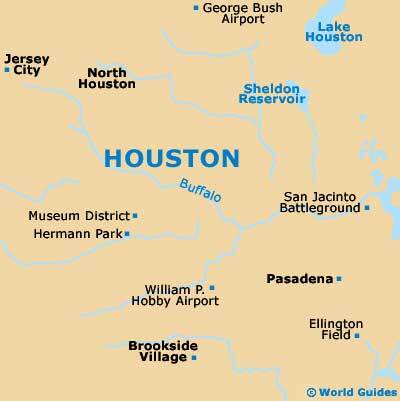 The city of Houston contains over 50 popular golf clubs and courses, which is one of the highest concentrations in the entire state of Texas. Many keen golfers choose to holiday in Houston each year, to take full advantage of the excellent choice of golf courses surrounding the city, while others are just passing through and looking for a quick round at the end of their day. If you only have time for one game, then head to the southeasterly suburb of Taylor Lake Village, where the renowned Bay Oaks Country Club is easy to find, being encircled by Ellington Airport, the Lyndon B. Johnson Space Center and the Kipper Mease Sports Complex. Situated in the Kemah area of Houston, the Bay Oaks Country Club comprises 18 holes, with many natural water hazards and difficult fairways. Throughout the year, a number of championship tournaments are held at the Bay Oaks Country Club. The Champions Club can be found on the northwestern side of the city and is within easy reach of the city center. Featuring two large 18-hole courses and good golfing facilities, the Champions is a private club. The Clear Lake Course is an impressive 18-hole course, with spectacular view of the surrounding area. Attractions at Clear Lake include a number of challenging holes, natural hazards and equipment hire. The Galveston Island Municipal Course stands on the outskirts of Houston, in the Galveston region. With 18 holes and a large professional golfing shop, Galveston Island is an outstanding course and is popular with both beginners and more experienced players staying in the city. 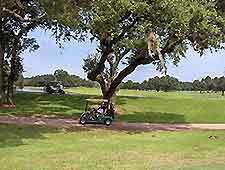 The Glenbrook Golf Course, in the Kemah district, can be found on the southern side of the city. With 18 holes, mature landscaping, a par of 71 and a large professional golfing shop, the Glenbrook Course is a particularly appealing and relaxed course. The Gus Wortham Course is a large 18-hole course sited on the eastern side of the city, in the San Jacinto area. Containing good general golfing facilities, including equipment hire, inexpensive fees and a large shop, Gus Wortham attracts golfers from all around this area of Texas (TX). Standing on the northwestern side of Houston, the Jersey Meadow Course is a spreading 18-hole course, with many unique and interesting holes. Other attractions at Jersey Meadow include instructors, a well-stocked shop and golf carts. The Pine Crest is located on the western side of the city and features 18 holes, a par of 72, a large clubhouse and numerous sandy bunkers.